Kids are faced with all kinds of worries that can keep them up at night. 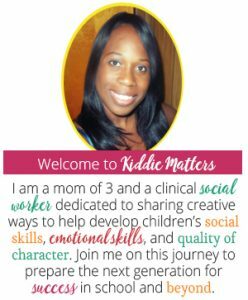 Many kids worry about doing well in school, making friends, fitting in, and making their parents proud. They also worry when there are changes to the family dynamics such as the family welcoming a new baby, parents arguing or getting a divorce, family member getting sick, etc. Kids don’t always understand their emotions and sometimes don’t know how to express what they are feeling. Even when they do understand their feelings, they don’t always think to tell an adult about what they are feeling. It’s up to parents and caregivers to make sure our kids know that everyone worries and that there is a way to end worrying. One way to get your kids talking about their worries is by using a worry doll. What Is a Worry Doll? Worry dolls are small and colorful dolls traditionally made in Guatemala. The legend of the worry doll is a tradition passed down from generation to generation by the indigenous people from the Highlands in Guatemala. They believe that worry dolls have the power to take away worries and therefore improve a person’s life. According to the legend, when worrying keeps you awake, tell your worry to a worry doll (one worry per doll), then place the doll under your pillow. The belief is that the dolls take over the worrying for you. When you wake up the next morning, you feel rested and find that all your worries are gone. You can find out more about the worry doll legend here. In some variations of the tradition, parents will remove the dolls from under their child’s pillow during the night to give a visual that their worries are gone. Some people place the worry dolls in a pouch or box to signify that they are putting their worries away. It really is whatever works for you. 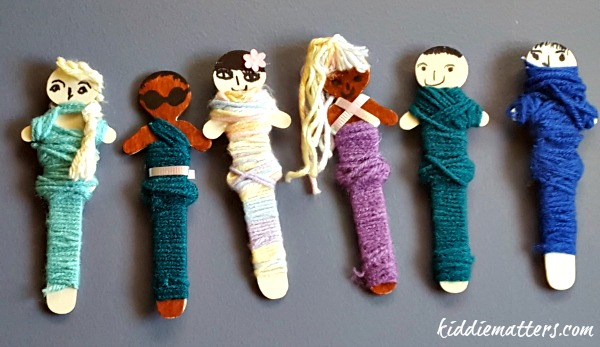 Worry dolls are great to use with kids who are anxious and worry a lot. They are fun to make and anyone over the age of five can make them. 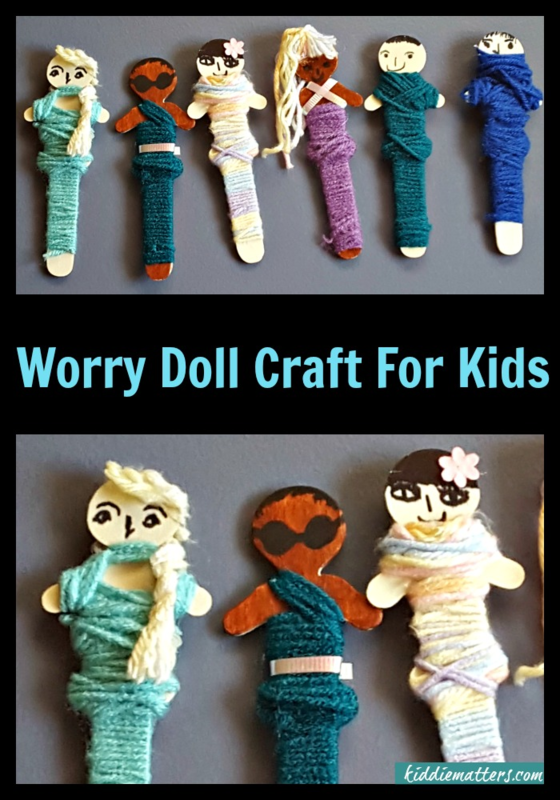 Worry dolls give children a chance to release any feelings of anxiety they are experiencing. They also give them an opportunity to share their worries with a trusted adult who can then offer them support. I enjoyed making these worry dolls because it requires few materials, very little time, and whole lot of imagination. Here’s how we made ours. Wrap craft stick in yarn and then draw a face on the craft stick with the marker or Sharpie. You can glue strips of yarn on the head for hair if you would like. Feel free to add other embellishments such as gems, glitter, ribbons, etc. Have fun and be as creative as you want to be! Check out the video below to see how we made ours! Do you have any tips for how children can tame their worries? Feel free to share them in the comments! Very cute and so easy to make! I bet your kids had fun! Thanks Deb! They loved them!! What a wonderful idea! You just reminded me that I had a set of tiny worry dolls (they lived in a little box) when I was a child! I wonder where my parents got them? That’s wonderful Patty. I hope it goes over well. Thanks for stopping by! I think this is a great idea! I think I’ll change it up and make it a play, so she can “pretend” the doll is worried. I can see a lot of good dialog from it.